Queen Liz. I pray we get a massive shocker and she stays. Jim and I will be voting for Liz too. I've got everything crossed for this. Jim needs to stay and I want Liz to stay. Sam is a pointless housemate; nice girl but if we had a house full of Sams and Ollies nobody would be tuning in to this series. Jim is the most entertaining of the three up so he therefore should stay on Wednesday. Seriously fighting for the underdog here. Liz needs to stay! only one I actually like is Sam, but want Liz to stay the most I guess. Won't vote for any of them (since I haven't since Lauren BB13). Samantha Faiers and Jim Davidson. Won´t vote, cause i simply cannot. cant vote but that poll is surprisingly neck and neck. 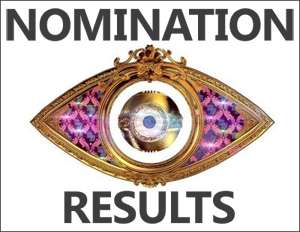 not surprised with the results for Jim and Liz but for Sam i am. good god. Jim and Liz. Sam to go please! Unfortunately i think Liz will go. I cannot believe so many people want her to stay! What is the point? If you're only voting for her because she's "nice" then get behind Ollie instead, they can't both win! Urgh. Just hate pointless housemates and losing good ones instead. Sam and Ollie should have been out right after Evander. Yep save Jim & Liz, let the bore go. Who is voting for Sam? Cab those people go outside and watch their grass grow please and not ruin our BB. How has Sam got so many fans? She's not entertaining on an entertainment show so therefore she should go, or are people trolling because the other two are "weird?"